Get the facts on Treasure Coast real estate, top neighborhoods, and market trends working with a team of licensed real estate experts who will provide all the assistance you need throughout the home buying process. 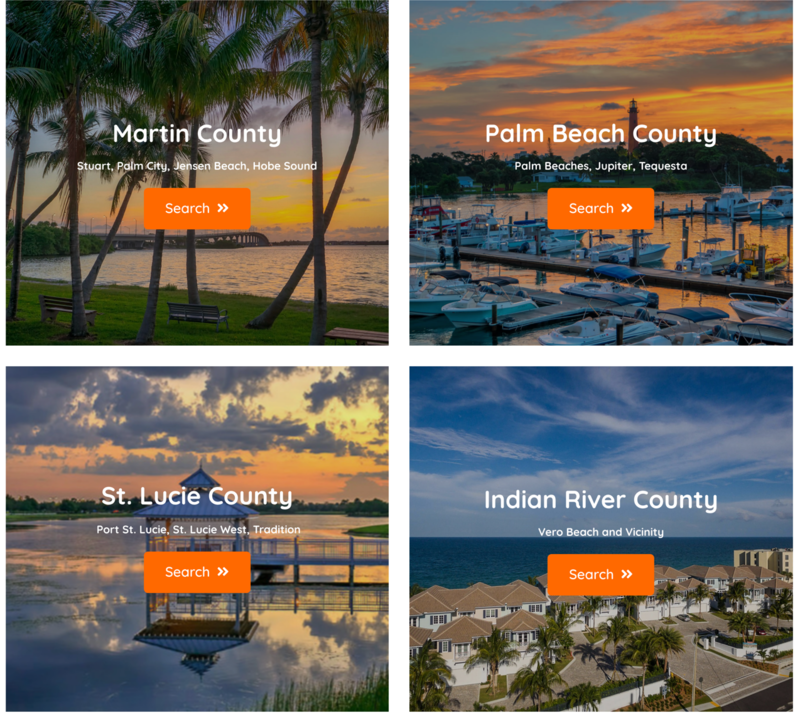 Search homes including all single-family residences, condos, and foreclosure properties throughout Martin County, Palm Beach County, Saint Lucie County, and Indian River County using our local MLS database. Need to sell first? Click here now! Find the perfect home in the perfect place with our advanced property searches. Eric Slifkin and his team have been meeting the real estate needs of their clients since 2003. We offer a turn-key approach to purchasing or selling real estate along the Treasure Coast and Palm Beach real estate corridors. Using our Website you can research local communities or sign up to get notified when we find new listings that suit your tastes! We'll even notify you of changes and price adjustments to your favorite properties as they occur. We service over 250 neighborhoods, communities, and subdivisions throughout the Treasure Coast and Palm Beach County. Our ability to connect you with what's happening in our local markets is something that you won't find anywhere else. Whether buying or selling, we are always happy to meet with you at one of our five convenient locations to discuss your needs, no obligation. Call 888-288-1765 for info or to schedule a private showing today!